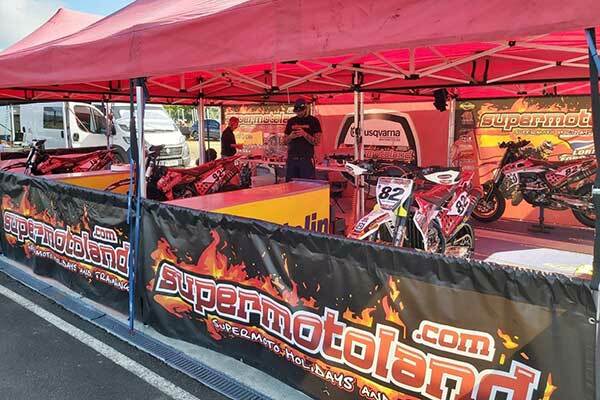 The Supermotoland team has a very flexible approach to their training and has a number of packages to suit your requirements. 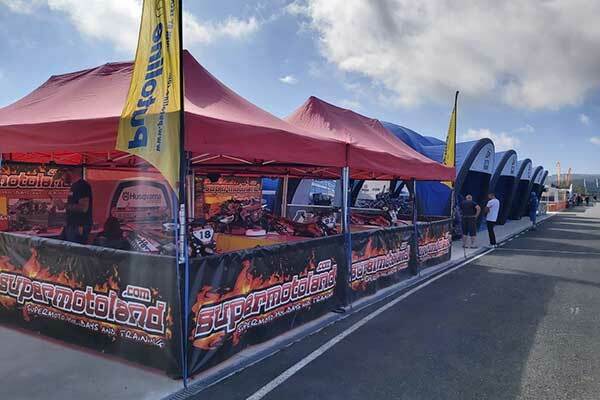 We can provide training for individuals or groups, and we can travel to you in Spain, so if you want to holiday with your friends and family in Spain for a week or two, then we can travel to your location to provide a two day training course at a Supermoto/Karting track nearby to add some action to your beach holiday. Whilst we are based in Murcia and Alicante we can meet you in locations up and down the coast, from Malaga to Barcelona. Many of our clients have an enjoyable stay in the Benidorm , Alicante area of Spain which has some excellent tracks nearby as well as some of the best night life and beaches in Spain. San Javier Kart track in Murcia is situated within 1 km of the San Javier airport and the popular resort of Alcazres and the mar menor. This circuit is perfect for anyone wanting to fly in for a weekends riding as the track and hotels are just a short taxi ride from the airport. We have a variety of Supermoto bikes for training including KTM and the latest Husqvarna machinery. The basic concept is that you just turn up to the race track with your crash helmet and leathers and after a basic safety briefing and instruction we get straight on with the riding. You will have loads of time on track as we know that's what our clients want, and lots of laps makes you a better rider and puts a smile on your face. Your instructor will ride with you to show you the correct lines, braking and acceleration points and then after every ride your instructor explains techniques and tips to allow you to gain in confidence as a rider and improve your skills. You will learn where to position your body on the bike and move around to get the most out of corner entry and exit as well as the correct braking techniques required to be able to get the bike 'backing in' to the corner. 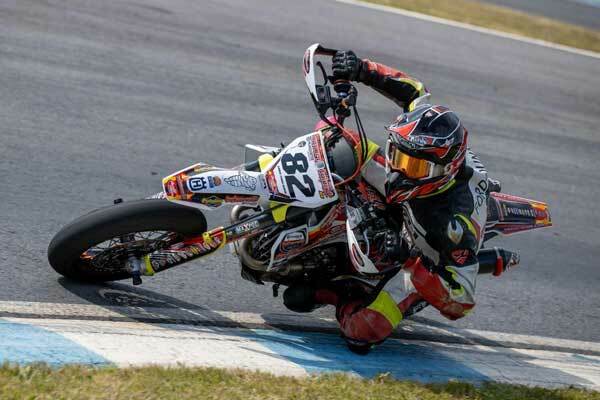 We train all abilities, from novice to motogp star and instruct you through the day in a friendly informal manner to get the most fun and self improvement out of the days riding. Our instructor will also use a go pro camera to record some of your track action and allow you to see how you are progressing on film by studying the footage on our trackside laptop as well as giving you some great footage of your experience to share on facebook or watch again at home. Throughout the day we take frequent breaks and provide you with water and snacks to keep your energy levels high. We stop for a lunch break and rest, and then continue again in the afternoon. 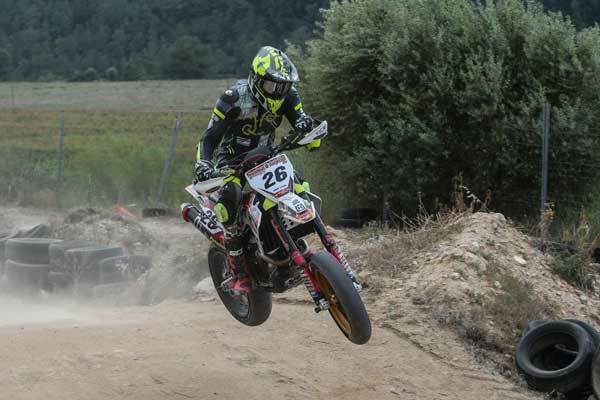 You will feel your speed increasing as your confidence grows and nothing puts a smile on your face like riding a supermoto bike on a sunny day in Spain whilst constantly improving on your bike skills and speed. If you come as a group then prices drop as low as 295 euros per day for a 5 rider group over a 2-3 day period, ideal for turning a beach holiday into something awesome. 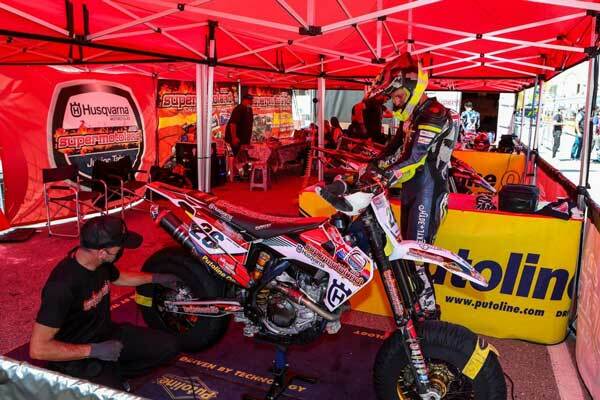 If you don't want to bring your own kit then we also offer a Kit hire service at a rate of 45 euros per day that includes helmet, gloves, goggles, leathers, back protector and boots although we only have limited sizes so check with us beforehand on availability. In the event of a crash you are unlikely to cause serious damage to yourself or the Supermoto bike as the speeds are relatively low compared to road racing and the bikes are very robust, so the chances of additional costs due to crash damage are minimal , however you will be liable for any damage to the bike and kit hired. We cater for corporate days, birthdays, groups, individuals or couples. You can contact us on the button below for more information or to talk through any aspects of organising your trip or dates etc. If you would like to check on available dates and make a booking then click on the booking button below.